qTest provides managers and testers QA metrics and data that improves productivity, increases visibility and drives quality improvements. qTest Manager takes away the reporting headache by easily producing simple or complex reports. 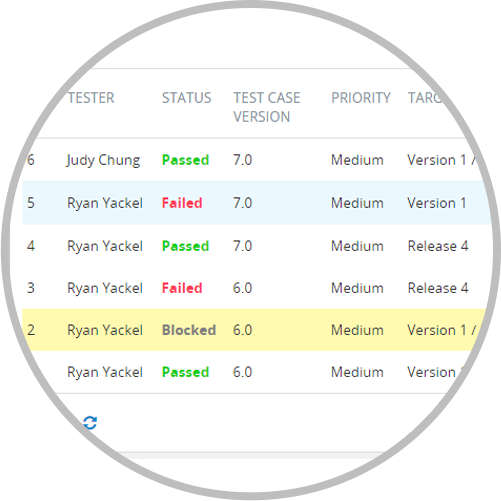 The most popular testing metrics no longer have to be created and stored in a painstaking manner. Let qTest Manager give you access to the reports your team relies on. 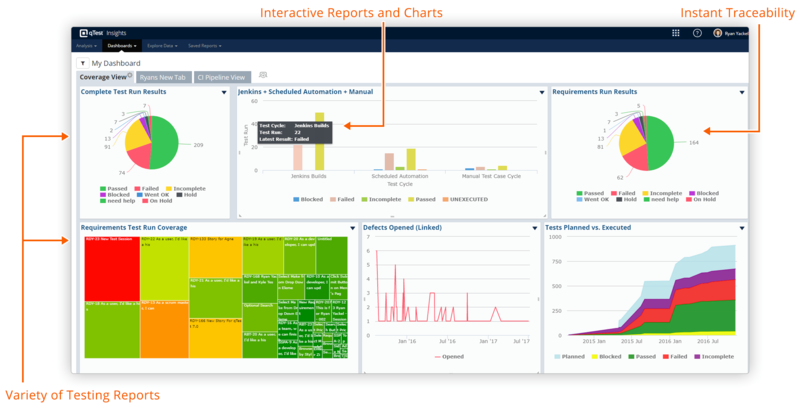 Access multiple filter options to streamline report creation and delivery to stakeholders. Show test metrics that are necessary, not mandatory. Schedule reports to be sent out on a recurring basis to outside stakeholder, or allow read only access to view reports. Fast & comprehensive data query tool to search, sort, and act on every piece of metadata in your test management system. 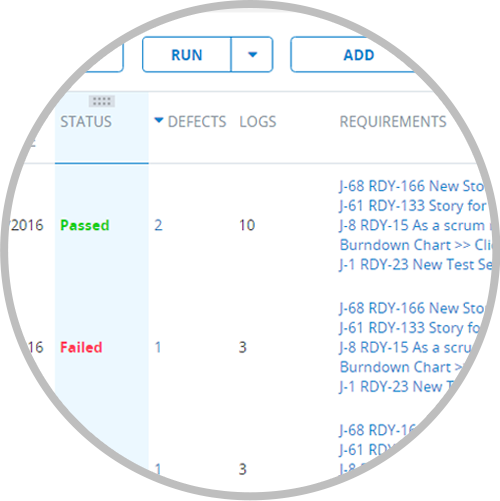 Visualize testing progress at each stage of the testing life cycle, know how you're pacing for production release. Ready to Make the Switch from HPQC? With migration support and easy to use tools, QASymphony makes it easy to switch to qTest. Contact our customer success team to see how simple we make it. Robust real-time integration with popular ALMs like Jira, VersionOne, Rally and many more. 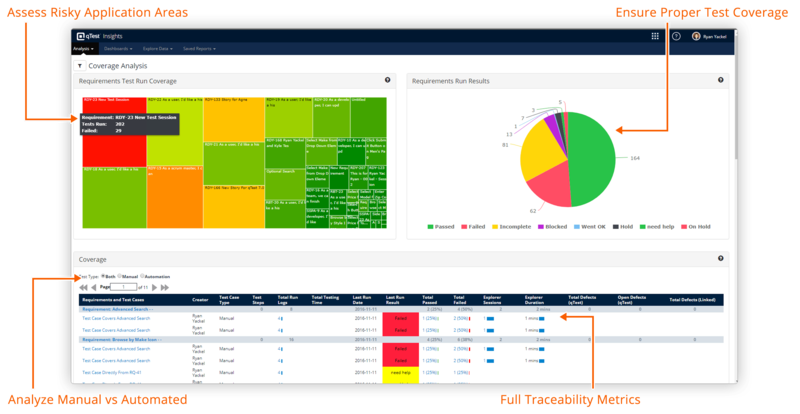 Instant traceability reports that combines testing to requirement coverage, defects created, and number of times each run has been executed. 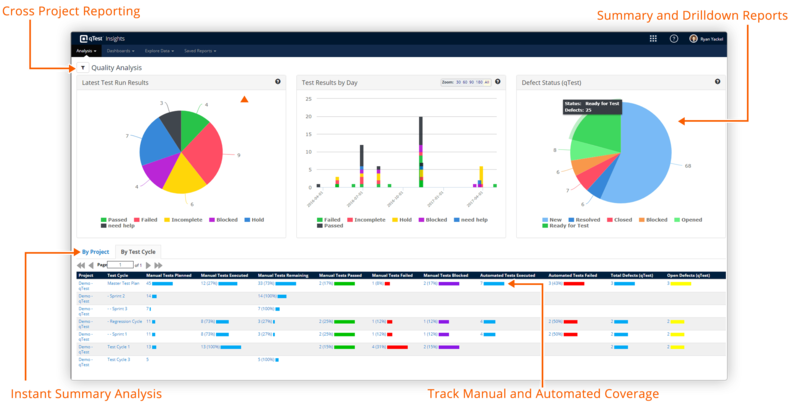 With the amount of new feature and regression testing that accumulates, qTest provides an audit trail so managers know each variable during execution. 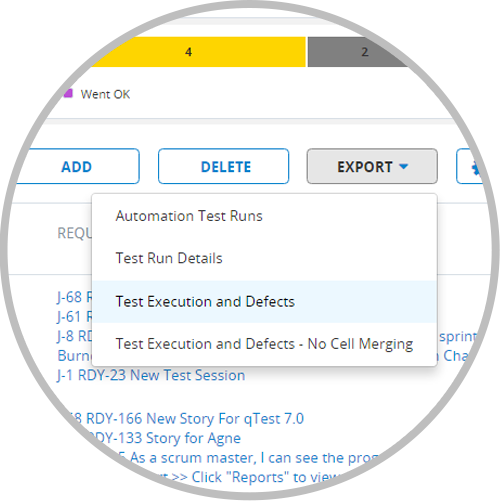 qTest does the hard work of connecting test runs with requirements and associated defects so you don’t have to hunt down the data you need. 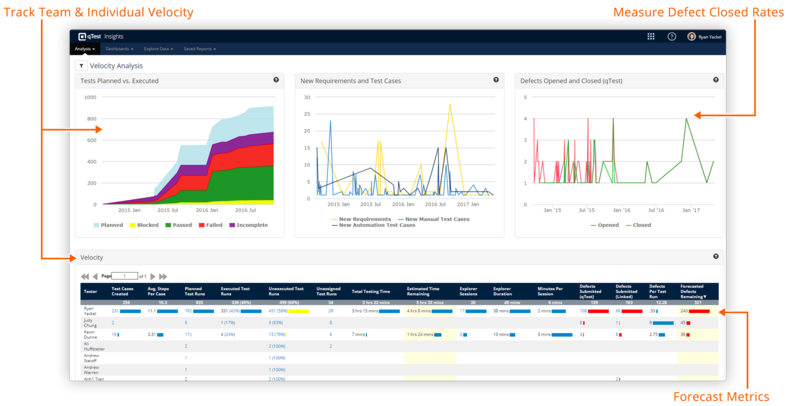 qTest contains multiple, one-click reports filed with requirements, test case, and defect traceability. Stop having to rely on complex SQL queries or cumbersome coding efforts. 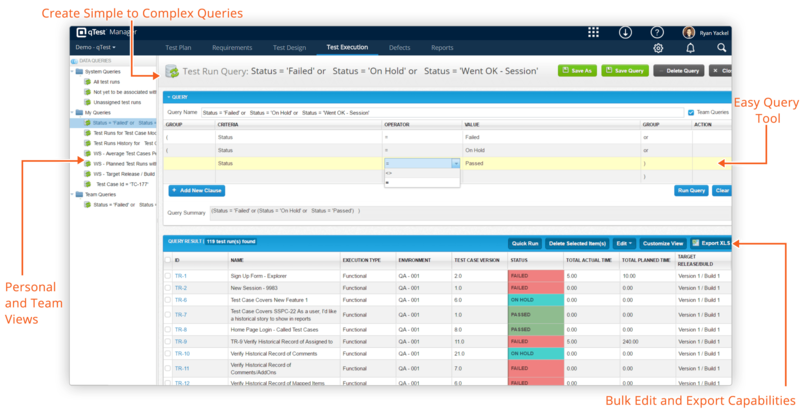 With qTest Data Query, testers can casually select the data they want displayed for actionable analysis. In a recent survey, 93% of paid qTest customers said that qTest has improved visibility into their software testing process.